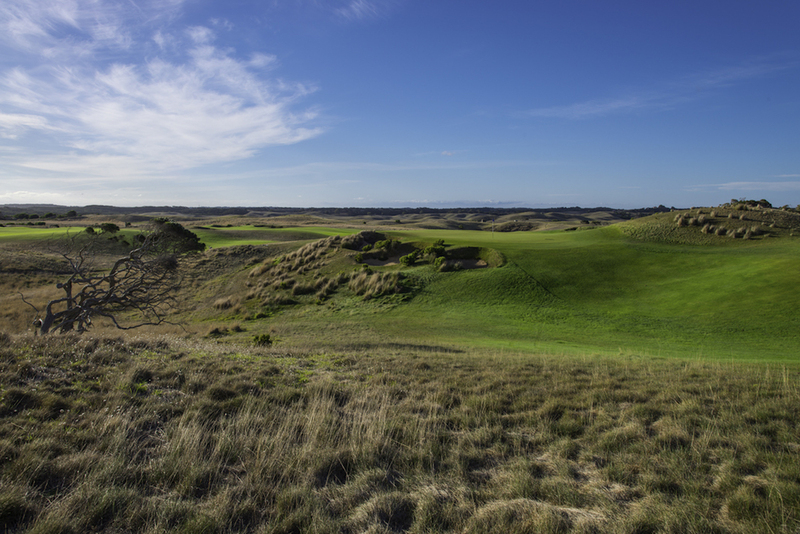 Founded in 1987, The National Golf Club was born as an 18-hole facility in the Cape Schanck hills overlooking Bass Strait, but grew into Australia’s largest private club with the opening in 2000 of two new duneland courses. 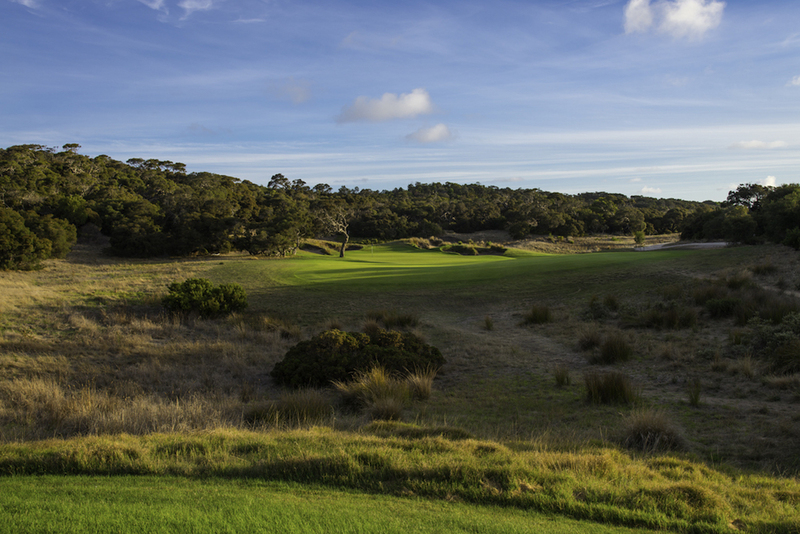 Situated on the Mornington Peninsula’s rolling farming pastures and built on pure sand, the pick of the club’s golf offering is the Moonah Course, designed by Greg Norman and Bob Harrison and so named for the ancient coastal trees present across the property. 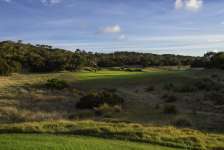 Boasting rural and ocean panoramas and occupying an attractive series of jumbled dunes and ridges, Moonah’s virgin land presented Norman and Harrison with a number of natural golf holes. Led by Harrison, the team spent hundreds of hours on site developing alternate layouts and considering various combinations to squeeze as many great holes as possible into their course. The pivotal hole in this process was the 11th. Tucked away in the northwest corner of the property, it lies on land the designers were so keen to include they had to trade off routing difficulties to get to it. 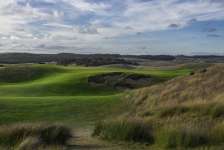 The hole itself falls beautifully across the undulations with the tee shot played into an elevated saddle surrounded by sand, and the approach over a hollow toward a punchbowl green framed by the distant Bass Strait dunes. To balance the use of this extraordinary land, the closing stretch is made up of a series of long holes that head back to the clubhouse and usually into the teeth of the stiff Peninsula winds. 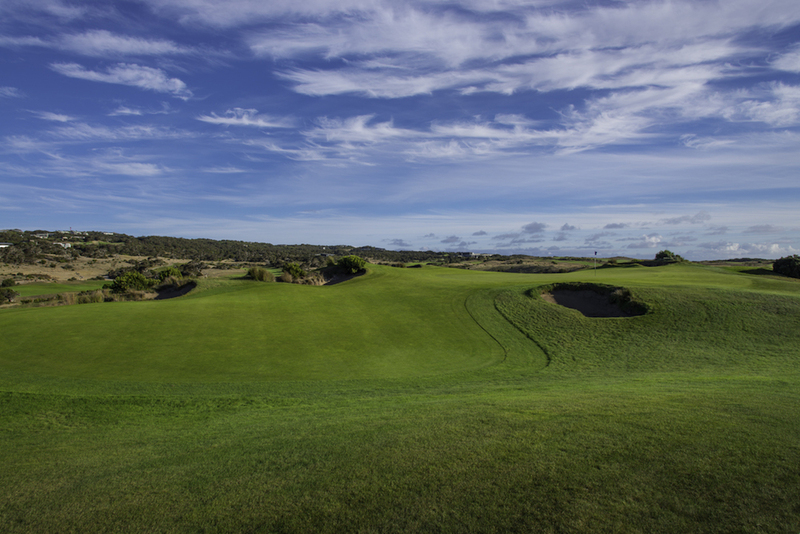 To score well at Moonah, therefore, you need to get through the first 11 holes without too many scars, as the battle to hold onto your score coming home is one of the toughest in the country. 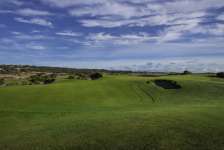 Aside from a number of impressive holes, the key to Moonah’s success is some wild and distinctive bunkering and a fun set of greens that mostly accommodate the chasing approach. Also notable is the fairway shaping. Landing areas across the course are fairly generous but the aggressive player is often able to attack ridges and distant valleys in order to set up shorter and easier shots. The opening hole sets the tone for the round to follow, chances are you will not miss its expansive landing area with your first tee shot, but hit too far down the left side and your best chance of par is from one of the greenside bunkers. The next is a fine par five along an imposing sand ridge followed by a terrific par four with a diagonal fracture cutting across its wide fairway and kicking accurate balls toward the target but pushing weaker drives away. The tee shot on the 4th is another beauty, this time played from atop a plateau out over sweeping undulations. Other standouts include the par four 10th, with its windmill and wild green, the chasing one-shot 17th and the splendid set of par fives. The pick of these is the 7th, which drops and then rises through a tumbling valley into a green set within a lovely long depression. 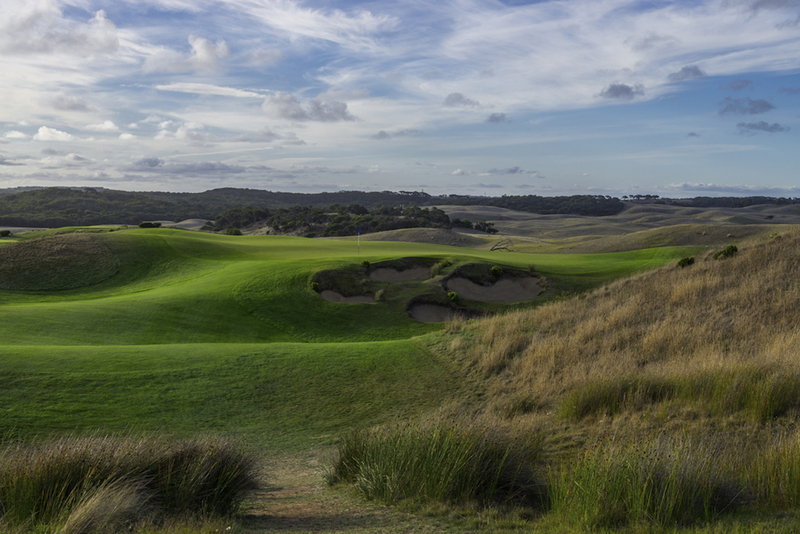 While each of the layouts at The National Golf Club appeal on some level, the Moonah is clearly the best and most dramatic of the three. It’s also blessed with tremendous golf grasses and generally kept in superb condition. Though fun for all, the course is a particular treat for low markers who like their golf raw.